Can You Really Make Money With Empowr? Trying to make money with Empowr is simply not a realistic goal and many people end up operating at a loss instead. Key issues include the lack of transparency, along with a considerable number of underlying fees and an ineffective overall system. Even if you could earn some income from the company, you would never have much control and things could go backward very quickly. 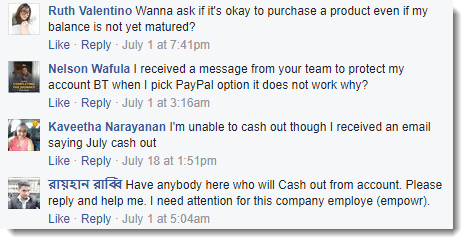 These issues are why I recommend affiliate marketing as an alternative. This is a more sustainable business method and you’re earning money by providing information and promoting products that people actually want. What Products Does Empowr Sell? Previously known as FanBox, Empowr is a social media-style site that is designed to act as a way to make money. The company promotes it as a way to democratize social media. That may be true but a more accurate description is that the site is meant to let people make money from social media. On paper, the idea sounds too good to be true (which is never a great sign). In fact, I've seen this before with the now defunct social media platform TSU. They claimed to be the “fair” Facebook, that would pay people to be social. Like TSU, Empowr is basically a social network that claims to help you make money by being a part of the network. However, it makes money in three different ways. They sound pretty interesting, and pretty legit from the outset. I actually earn money from affiliate programs like eBay and Etsy, as well as paid ads from Google. Users are then able to earn income in four different ways, some of which are just general social media behaviors. This suggests that you could just earn money by being active or you could make more income with a little effort. Theoretically, almost all of the money that Empowr makes is meant to trickle back to the users, with the company claiming that around 97% of profits go to members. 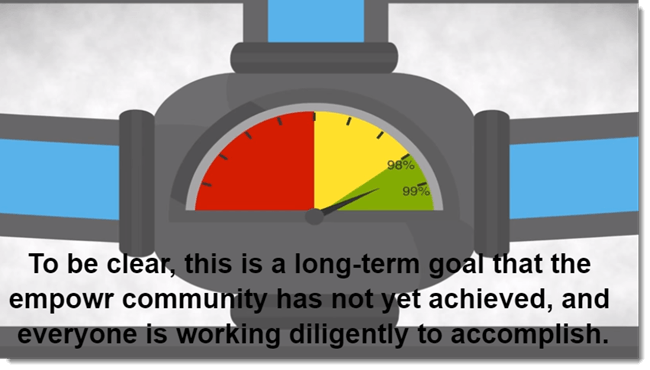 But, the concept video mentions (very briefly) that the goal isn’t actually being achieved at present. This component basically means that you get some of the money you earn immediately but some income will take up to 90 days to ‘mature’. Of course, that basically just means that they’re holding onto it for 30, 60 or 90 days. This concept is starting to sound a lot like a communist government, rolling out 5 year plans of how the government will seize the means of production and pass on profits to the people as soon as “possible”. Like communism, profit sharing sounds amazing, until you really start to look at it. Economies work based on the concepts of supply and demand. So, you’ve got people selling products and services that others want to buy. The question is…what sort of product does Empowr have that creates a demand to use the network? This is particularly obvious with the ways you can earn money, such as posting content. Nobody is going to want to pay you directly for creating content, why would they? For that matter, people aren’t going to pay you to use social media – so where does the money come from? Well, this is where it starts to get a little shady. Remember how Empowr itself makes money off customers? This includes the use of fees for various processes, including fees that aren’t immediately obvious. For example, when you post something on the site, you’re using Ad Credits. Those are automatically deducted from your account. It’s not clear what the actual fee is per post, nor does the company state how much you earn from a post or other behavior. This makes it difficult to work out how to optimize your earnings. It also creates the risk that you could be losing money, without even knowing it. You do also pay a fee for simply using the platform, which is 2.9% monthly and there may be other fees along the way. Furthermore, signing up to withdraw your earnings requires agreeing to Automatic Account Protection. This is promoted like it’s a good thing but the idea is seriously concerning. Basically, you’re giving Empowr the right to pull from your PayPal to top up your Empowr account. It’s easy to see how this could go badly, especially when Empowr’s fees aren’t always obvious. What’s more, many people do get confused. There are countless questions online, with Empowr members often not knowing where their income is coming from or their fees. I don’t know about you – but I would want to know precisely how I was making money. Without that information, you would never be able to get the best possible outcomes. If you are considering Empowr, it’s critical to be very careful with Ad Credits and on the site in general. Basically, Empowr works a little like Facebook in that you can create advertisements and pay to boost them. To do so, you’re paying in the form of Ad Credits. The problem is that many people end up spending those credits without even knowing it. For example, some people earn thousands of dollars with the company but are spending almost as much in credits. To make matters worse, you are billed for Ad Credits immediately, while it takes 90 days for you to withdraw anything you’ve earned. That’s a horrible system and would make it very easy to lose money. Because your account is also tied to PayPal, the company tends to bill you for those fees, long before you actually get any money from them. Alternatively, you may find that you’re simply never able to withdraw anything, as you’re always paying more than you earn. These patterns have happened to multiple people, especially those that post on the official Facebook page. Likewise, some people find that they end up paying fees without even knowing what they were for. The Facebook page also shows that there are many people actively asking questions and not understanding the system – with relatively few of them receiving answers. Likewise, I’ve seen far more people with complaints and issues about Empowr than people who have found success. These patterns suggest that it’s extremely easy to lose money on Empowr and you could do so without even knowing how. That’s a very concerning situation and it’s no surprise that many people are labeling it as a scam. Another aspect to consider is your progression in the company. For example, some people are considered Power Users, which gives them the ability to gain a larger audience and potentially make more money. There are various different levels to choose from, with the higher options providing more advantages. But, as you can probably guess, the higher tiers also cost more. So, you end up spending money for the chance to increase your income. Personally, I’m wary of any system that works like this. There are many ways to earn money that don’t involve you buying ranks or investing over and over again. Increased profits aren’t even guaranteed with this idea either. So, you could pay to increase your rank and then see no benefit from doing so. There is also a related process where you need to optimize your account. Doing so is meant to provide the ability to earn effectively, which includes buying Power Levels and creating Ad Campaigns. Optimizing your account basically just involves clicking a button. When you do that, the site checks ‘hundreds’ of different settings, although that’s as much detail as the company provides. The process is probably safe but I still find it concerning. For one thing, they could easily change settings that influence how much you pay in fees and how these are withdrawn. One other aspect is an Earnings Accelerator. This automatically increases your power level as soon as possible. The process seems to draw from your profits and not your PayPal, which is one positive thing. But, be aware that this would decrease how much money you could actually withdraw. This may also be the reason that many people seem to end up with more fees than profit. Can You Make Money with Empowr? It’s clear that you can easily lose money with Empowr but what about earning an income? Well, I imagine that it’s possible to do so. The company is attempting to run an economy, so if many people are losing money, it seems likely that some are making it as well. Spending more time (and money) on the site would probably help you understand it better as well. Theoretically then, with enough time and effort, you could make some money, although there may still be some chance involved. Nevertheless, I suggest that you be extremely careful with Empowr. The site consistently lacks transparency and you end up with little knowledge or control over your income or your costs. That’s a troubling pattern for something that is meant to make you money. Is Empowr A Good Business Opportunity? The simple answer is no, Empowr is not a good business approach. The lack of transparency alone means that you would always be on the back foot and it would be difficult to control your income stream. What’s more, the range of fees often results in people losing money rather than making it. One of the hallmarks of a good business opportunity is control. You should fully understand the mechanisms behind making money and the best ways to do so. This gives you the ability to build something that’s sustainable and increase your income potential over time. With Empowr, doing so seems incredibly unrealistic. Another aspect of control is knowing what you’re doing. For example, some steps are more effective than others in building a business. Yet, Empowr isn’t great at teaching people. Instead, most of the information on their site is vague and support typically isn’t helpful. Aside from that, Empowr will only be successful if people keep putting money into it. But, as negative reports continue to increase, interest in the approach is likely to dry up. This could easily mean that your potential for income decreases over time. The lack of transparency would also make it easy for the company to change fees and payments as it goes along. It’s difficult to know whether that would actually happen. But, the overall design means that you could end up paying higher fees, without ever being aware that you were doing so. One other reason to not trust Empowr is in the company’s history. Before it was Empowr, the service was called FanBox and operated in roughly the same manner. According to their marketing, FanBox was an alpha test of the underlying concept, while Empowr is a beta test. Regardless of terminology, both sites used the same concepts, although Empowr has some new features and an improved user interface. 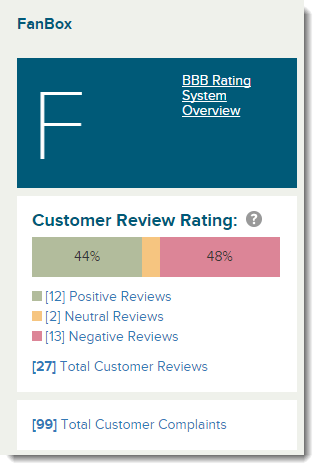 As a result, the history of FanBox offers insight into Empowr – and FanBox got a large number of complaints, even scoring an F on BBB. There are countless FanBox reviews out there as well, with many pointing to the problems that I’ve highlighted in this post. The truth of the matter is that the model simply doesn’t work, especially not in the long-term. At the same time, what Empowr is trying to do doesn’t make all that much sense. The system is basically a redistribution of wealth, with most people not providing or receiving any valuable services. It’s hard to see how that could ever be sustainable, especially when the company isn’t transparent about anything. Making money with social media may sound fantastic but there is no evidence that Empowr actually works. Instead, the majority of users seem confused and many have lost money rather than earned it. I wonder how Empowr and CashfunnelsMachine.com compare? I’m looking for a review on there system but haven’t found one. Furthermore, Empowr.com has a real “black-hat” creepy secretive feel to its advertising, especially the videos. – I personally do not get their purpose.